1) Saudi Arabia has invested $20 billion dollars in Pakistan, including $10 billion dollars for an oil refinery. 2) Seven members of the British parliament have resigned over Brexit. They couldn’t abide the labor parties movement towards the left with anti-semitism and racism. 3) A Spanish warship tried to intimidate a British civilian ship to exit the waters around Gibralter to assert Spain’s sovereignty claim over the British territory of 300 years. With Britain exiting the European Union (Brexit), Spain is renewing its efforts to reclaim the territory. 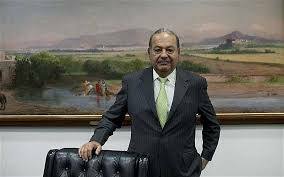 BUSINESS TELECOM TYCOON CARLOS SLIM INVESTS EN ESPANA FAILING COMPANIES!!!!! Carlos Slim has recently invested money in Europe in a couple of major acquisitions in Spain. Mr. Slim has been buying up shares in failing businesses in Spain since the fall of 2014, he is expanding his empire in European countries, such as Spain and Austria. He recently placed shares in Bankia a Spanish bank that owns the real estate company Realia.